I have always had a huge affinity with Dubai since visiting with my family when I was younger. However, since my diet took a huge plant-based shift in January 2018 and one of my best friends moved out to Dubai a few years ago, I have seen a side to this city-state that I'd never explored before - the ever-expanding range of vegan eateries (and ofc, matcha spots). With a lot of the restaurants in Dubai, they aren't solely vegan eateries as you often get in London. The plant-based options are usually a section of a menu, which I actually highly rate because it doesn't put off non-vegan friends or family from joining you. They can either choose a totally non-vegan meal or choose a plant-based meal and add animal protein if they so wish. This has to rate as one of the best vegan brunches I've ever had. I ordered the chickpea 'omelette', which in itself I thought was wonderfully original. It was filled with sliced avo, a delicious EVOO, sauteéd kale, spring onion and courgette. It came with a side of roasted toms and rye bread with an olive tapenade. I then ordered extra thyme roasted mushrooms, which were just fabulous. I didn't get a close up of the food here because I was too excited to dig in, sorry. You'll have to make do with the photo of my face and just trust me, it was amazing. My friend ordered the açai bowl, which looked equally as delicious. It was made of pure açai rather than being blended with another fruit, which I thought was quite unusual (as most açai bowls are more banana 'ice cream' than açai). It looked wonderfully thick, rather than a sloppy mess (the latter being the worst form of açai IMO). She thoroughly enjoyed it and said it was one of the best açai bowls she'd had too. Maybe I'll have one for dessert next time lols. We'd been eying up this brunch on Instagram for a while and it didn't disappoint in taste. We both ordered the roasted portobello mushrooms topped with a chickpea scramble, hash browns, sauteéd sweet potato, greens and half an avo filled with balsamic, soy and EVOO. My only criticism is that it wasn't big enough! Luckily my friend has more of a sweet tooth and adored the vegan GF pancakes so not only did I eat my breakfast, I also ate just over half of hers as well lol. The pancakes weren't to my taste. I found them a bit sticky and chewy with a bitter aftertaste from whichever flour they used. However, if your diet is strictly GF then they may suit your palate better than mine. Tbh it just made me question again why the hell people go GF when they don't need to.. I'd trade those pancakes in for all the gluten any day. This restaurant is situated inside Le Meridien Hotel. 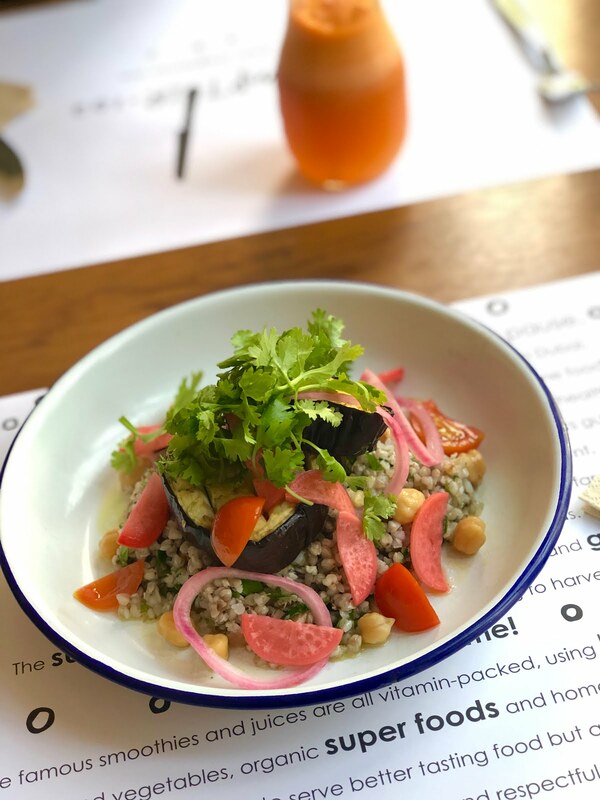 It has a huge range of nutrient dense food options and a whole plant based section, so don't be fooled by the menu online - it's very different . The vegan section had delicious options such as black bean burgers and butternut squash risotto. However, I actually went for a teriyaki salmon Buddha bowl bc I was feeling like all the veggies. Even though I am around 95% plant based, I do like to keep my omega 3 intake up with salmon once a week too. Before the vegans kick off, I know you can get vegan omega 3, but they're not as easily absorbed as the ones found in oily fish and I'm not ashamed to say I do still love salmon. It's for this reason I'd never label myself vegan either. Anyway, back to the food in question. It was absolutely delicious! The veg had so much flavour and the salmon was cooked to perfection. They had some incredible seasonings on the table including a smoky salt and sumac, which totally transformed the dish even further! We shared a vegan mezze platter too, which had some lovely dips on such as roasted red pepper & walnut, creamy hummus and moutabel. We also ordered extra grilled veggies and a side of air fried sweet potato fries. The veggies were amazing but the fries weren't crispy at all - rather limp in fact. They also had a strange coating on them, which tasted odd (I still ate them tho so they can't have been all that bad. I just wouldn't order them again). They'd be much better off as a crispy wedge IMO. On the whole though, a delicious meal with loads of healthy options to suit all types of diet and tastes. The homemade walnut granola was a game changer! We stumbled across this place on our quest for good açai and definitely succeeded here. They have two locations - one in the marina and one on Sheikh Zayed Road, DIFC. We visited the latter and went for smaller açai bowls because we were training in an hour so didn't want anything too large. They have an absolutely huge menu, which is extremely vegan-friendly. It includes everything from your classic avo on toast to sandwiches on homemade wholewheat sunflower bread and even poké bowls (they do a vegan tofu poké bowl so I would definitely return to try that - yum). The açai bowls are made from açai blended with mango, which I thought was a beautiful collaboration of flavours. It was just the right balance of sweetness and wasn't as overbearing as açai blended with banana (which is what I have eaten in 99.9% of other açai bowls). My pet peeve is runny açai/banana ice cream bowls but this was the most perfect consistency! I ordered mine topped with fresh berries and a homemade walnut granola, which was absolutely delicious. I'd highly recommend this place and can't wait to return. My only dilemma would be açai or poké..?! I think I'll just get both. Keeping up the açai theme, the specialty of Wild & The Moon are their bowls. This ranges from açai bowls, matcha bowls (I KNOW! ), power bowls (which are made of a banana and apple pudding), porridge and granola bowls. I was super excited to try their açai bowl, however, even though they had açai in stock, they couldn't use it..?! The exact reason for this definitely got lost in translation so we just accepted our açai loses and opted for the matcha bowls. Tbh I was actually 50:50 on whether I was going to choose açai or matcha bc of my obvious love of the latter. So the waiter chose for me by eliminating all açai possibilities but I really wish he hadn't.. The matcha bowl was literally just a runny bowl of banana ice cream - you now know how much I dislike both overly powerful banana flavour and runny bowls. This was both of those things, sadly. The saving grace was that we changed our toppings from banana (why TF do they need more banana?!) to granola, frozen bloobs and desiccated coconut. The granola saved the day - when does granola not save the day though, let's be honest. The highlight of this visit was the velvety matcha latte, but more detail of this in the matcha section..! Their juices and nut mylks also looked delicious so I would pick one up to try next time. 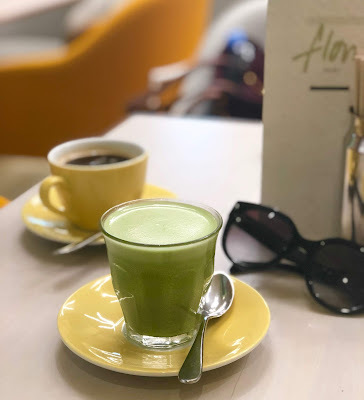 Matcha latte and a juice - maybe it's somewhere I'd go for a liquid snack lols (unless they figure out how to make an açai bowl again ofc). This was hands down my favourite matcha in Dubai. It is made with their creamy homemade almond mylk (just look at that above photo in the food section!) and spirulina, funnily enough. I personally love spirulina and couldn't taste it so thought it was a fantastic nutrient boost to add to the drink. I asked for it without the syrup as I don't like overly sweet things, especially not overly sweet matcha and it was just perfect. Creamy, frothy, great quality matcha and yeah, I'm drooling at the thought of it again..! 10/10 from me. This beautiful little spot is set within Jumeirah Emirates Towers. I opted for homemade almond mylk in my matcha, which was delicious. It did separate a bit so needed a continual stir, which is always mildly annoying. However, it tasted fabulous. We only went for matcha/coffee but glanced at the menu and it actually looked really good. There were several vegan options such as waffles, oats, toasts, desserts and salads. They also had warm mains such as GF VG pasta if that's your kinda thing. I also loved the idea of the 'milk taps'. You could order coffee or granola and help yourself to either soy or dairy options, which I thought was quite cute. This was a very surprising find within Dubai Mall! Arabica is a large chain of coffee shops with branches all over the globe; six of them being in UAE. I always thought they were a chain dedicated to coffee. However, by chance we wandered in for a shopping break and I found a matcha..! The only sugar free plant-based milk option was soya milk so I opted for that and it was surprisingly good! 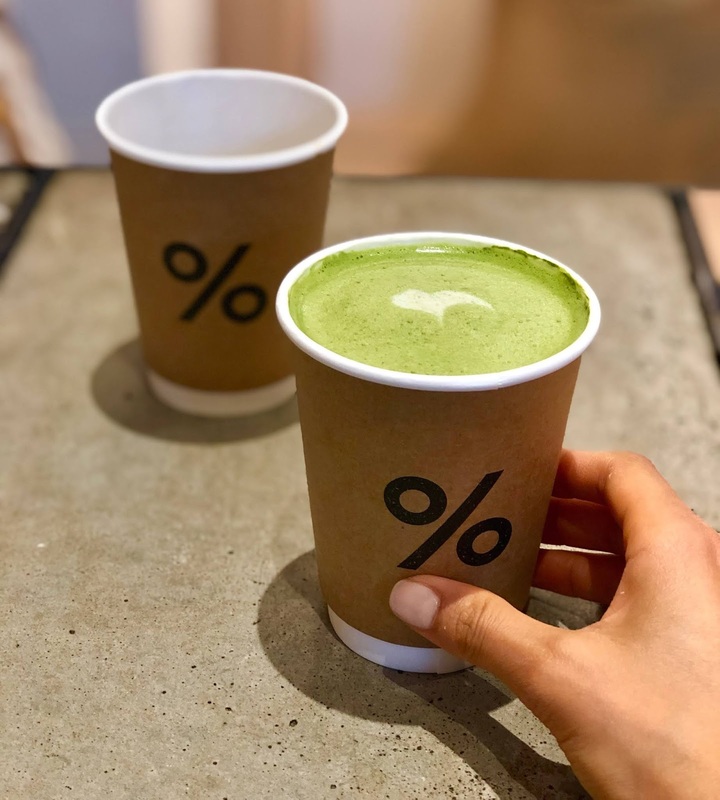 I wouldn't venture out of your way to try the matcha here but if I was out and about and passed an Arabica store then I would definitely get one again. It's good but not so good you'd travel for it. It's also handy to know that in a place that does great coffee (or so I'm told), there is a matcha option for those that want it. Now, this was probably the biggest disappointment of all my food experiences. 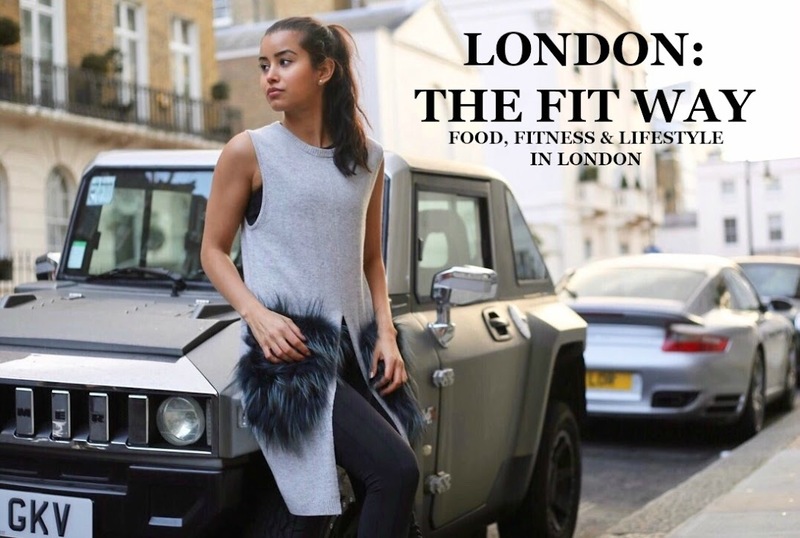 Hyped up to be one of the best healthy eateries in Dubai, yet I could not wait to get out. I chose to order the special, which you'd think would be spectacular bc it's the special, right? Wrong. It was roasted aubergine and buckwheat with feta, so obvs I swapped out the feta for chickpeas bc dairy, eww. When it arrived it looked like a starter portion (and if you know me then you know I live for voluminous meals). I reluctantly went with it and just accepted that I'd go home and eat again. However, the aubergine was like rubber. It was so tough that I couldn't even cut it with my knife! You expect roasted aubergine to be gooey and full of flavour, yet this was none of those things. Of course, I sent it back and did actually specify that if all the aubergine was like this I'd swap to the vegan quinoa salad. Turns out they failed to listen and returned to me with the aubergine looking exactly the same but the chickpeas burnt to a crisp. Far from ideal. Full of frustration and hanger, I sent this back again and clearly specified for them to bring the vegan quinoa salad. When this sad looking half-empty bowl of quinoa and 1/4 of an avo arrived, I decided to pack it up and just head home so I could pair it with other food to make a proper meal. That was one expensive side dish..
My friend had a juice here and did mention that it was nice. So the conclusion of Comptoir 102, is that if you're not hungry and don't mind repeating yourselves a few times to the staff, go for the chilled vibes bc the candle shop and outdoor space is cute (bar the fact it was full of people smoking). I, however, will be swerving this one for the foreseeable future bc a gal needs to eat, you know? So that's my round up of vegan Dubai thus far. Hopefully I'll be back to UAE in the spring to try all those other spots and let you know whether they're worth the careem fare..